A People’s Brexit that unites the left is the only way to confront an increasingly bold neoliberal mafia, argues Lindsey German. It would be helpful in the debate about Brexit if we could actually look at the reality of what is going on across Europe. Unfortunately, that still is not happening. Yet the picture across the EU 27 is hardly recognisable compared to the one portrayed by the continuity Remainers, determined to avoid Brexit at all costs. Whether we look at the minority of London MPs who claim that it will change the whole nature of the city, or those embarking on a tour to change Labour’s mind and commit to remaining in the EU, there is a studied refusal to consider what the EU represents today. Perhaps this is because it is not a pretty picture. Rather than the nirvana of workers’ rights, prosperity and liberal diverse democracy which is the Remain view of the EU, all of these areas are under sustained attack – and more often than not the EU institutions are key players in the process. It is they after all who have enforced austerity policies across Europe, most dramatically in Greece, but also in Portugal. Its tough stance over trade deals with Britain has a lot to do with its fears of a Corbyn government committed to public ownership. President of the European Commission, Jean Claude Juncker, last week insulted Italians for not working hard enough, being corrupt and not being serious. This from the former prime minister of tax haven Luxembourg. 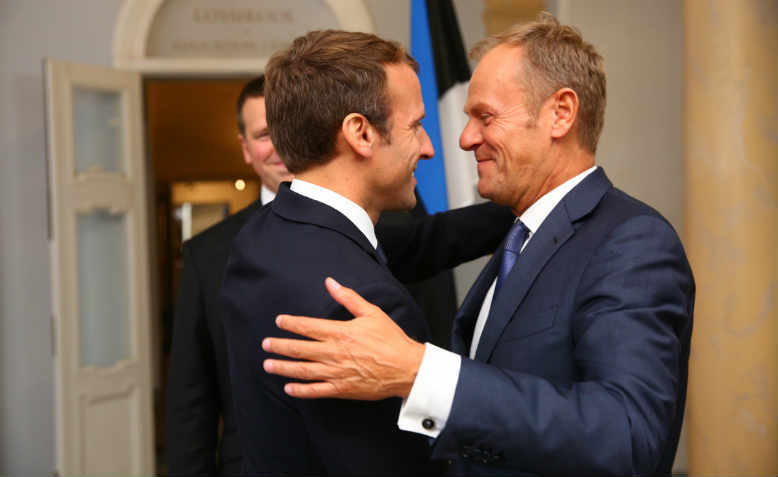 It is not hard to understand growing anti-EU feeling across the continent when this is the arrogant and disdainful attitude portrayed by its leaders. Meanwhile, the hero of many liberals, Emmanuel Macron, uses his presidency to launch vicious attacks on workers and students and to attack their rights. This is part of the ongoing race to the bottom which the EU countries have been engaged in particularly since the banking crisis of 2008. The worsening conditions for working people which have accompanied neoliberal Europe since have been in large part the drivers of the Brexit vote and of the election in Italy which saw the formation of a government of the far-right Lega and the Five Star Movement. Which brings us to democracy. While Juncker claims that he is not interfering in Italian politics, Italian president Mattarella’s decision to veto a specific minister who was strongly against the single currency suggests a contempt for democracy – whatever you think of the proposed minister or proposed government. And the fact that this minister was vetoed precisely because he was hostile to the single currency speaks volumes. The visceral hatred of ‘populism’ of both left and right varieties is one main characteristic of the EU bureaucracy and its defenders. Yet the same people who decry populism actually make huge concessions to right-wing policies, while refusing to countenance challenges to market-led policies which come from the left. They feel threatened by votes from new parties but rather than dealing with the issues which help strengthen the right, they compete with them in terms of attacking migrants, Muslims and others who are being scapegoated. So in Denmark, a law has just been passed to ban the burqa and prohibit false beards (I don’t quite know how that one will be enforced). In Germany, the Bavarian state government has decreed that crosses will be displayed on the front of public buildings to demonstrate the region’s commitment to ‘Christian values’. Hungary and Poland both have right-wing racist governments whose policies include attacks on minorities. Italy’s new government plans to deport 500,000 migrants yet the EU Commission has little to say on this. Yet the Fortress Europe policies are both condemning many migrants to drown in the Mediterranean, and are helping to reinforce, and make respectable, anti-migrant racism. This, in turn, is fuelling the growth of the far right. The answer is not to prettify this operation or to ignore that it is happening. It is instead to fight for a different sort of politics, which opposes racism and austerity and which demands a better future for the ordinary citizens of Europe. This is exactly what Jeremy Corbyn is trying to do, and exactly what the EU will stop him from doing. A recent article from economist Costas Lapavitsas demonstrates how the EU regulations would prevent the development of policies which would benefit us all. It’s really time to stop trying to reverse Brexit and start organising to deliver the sort of policies which can break the neoliberal consensus and challenge the far right.